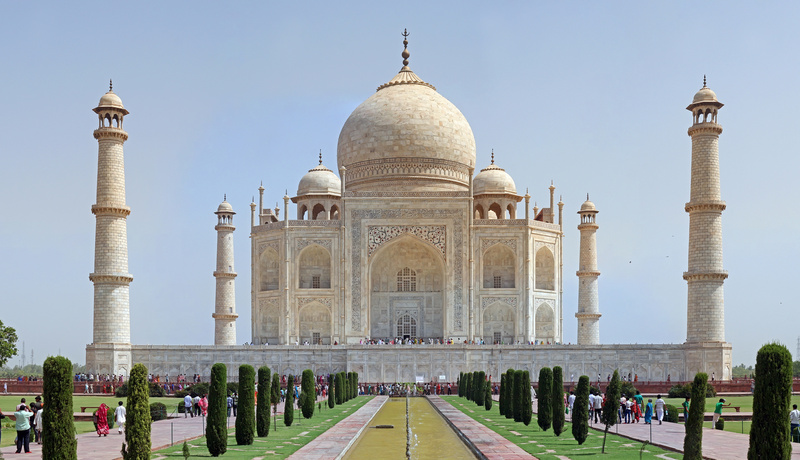 The Taj Mahal in India, the Dome of the Rock in Jerusalem, the Selimiye Mosque in Turkey, the Great Mosque of Xi’an in China, the Alhambra palace in Spain; all of these are examples of Islamic Art and Architecture. But what is Islamic Art and Architecture? And why it is so important to the world. Islamic art and architecture are works of art and architecture created in countries where Islam has been dominant and embodying Muslim precepts in its themes. According to Wikipedia, Islamic art encompasses the visual arts produced from the 7th century onwards by people who lived within the territory that was inhabited by or ruled by culturally Islamic populations. It is thus a very difficult art to define because it covers many lands and various cultures over some 1400 years; it is not art specifically of a religion, or of a time, or of a place, or of a single medium like painting. The huge field of Islamic architecture is the subject of a separate study, leaving fields as varied as calligraphy, painting, glass, ceramics, and textiles, among others. With ISIS showing its full scale of barbarism and violence; Islam as a religion has triggered the wrong imagination of the human mind. People who are committing this acts of violence claim to be protectors of Islam; but the beheadings and burning of a Jordanian pilot opens the evil designs of these organizations which does not represent any religion. With the acts of violence happening in the Islamic world; Islamic arts and architecture gives us a glimpse of what real Islam is all about, the other aspect of Islam which has given us many great poets, scientist, philosophers and thinkers. Islam as a religion has many facets of which arts and architecture are the less talked about aspects. Islamic art is not at all restricted to religious art, but includes all the art of the rich and varied cultures of Islamic societies as well. It frequently includes secular elements and elements that are frowned upon, if not forbidden, by some Islamic theologians. Apart from the ever-present calligraphic inscriptions, specifically religious art is actually less prominent in Islamic art than in Western medieval art, with the exception of Islamic architecture where mosques and their complexes of surrounding buildings are the most common remains. Figurative painting may cover religious scenes, but normally in essentially secular contexts such as the walls of palaces or illuminated books of poetry. The calligraphy and decoration of manuscript Qu’rans is an important aspect, but other religious art such as glass mosque lamps and other mosque fittings such as tiles, woodwork and carpets usually have the same style and motifs as contemporary secular art, although with religious inscriptions even more prominent. From the Spain to Malaysia and from Senegal to Russia, Islamic arts and architecture has been the common binding force for people following this religion. The Great Mosque of Xi’an, one of China’s largest mosques is a classical example of how Islam has adapted and accommodated other cultures and region. Islamic arts and architecture has been a major area and source of research and study; with the classical designs of minaret and tombs, precisely crafted calligraphy on ceramics and walls; Girih tiles with its geometric patterns has been a source of study and research. The Gulf region, particularly Dubai, have become an architectural playground. Burj Khalifa, Infinity Towers, Museum of Islamic Art, King Abdullah Petroleum Studies and Research Center represent the modern architectural wonders. Islamic arts and architecture gives us a glimpse of the untalked Islam; Islam which has adapted to new innovations and technologies. Islamic arts and architecture will inspire future innovators, designers, architectures and leaders to build a future full of hope and promise. This was beautiful and very well done. Thank you! A nice post, but I quibble with a definition that the work must be “created in countries where Islam has been dominant” and by people “who lived within the territory that was inhabited by or ruled by culturally Islamic populations.” Is the mosque in west not Islamic architecture? What about the Muslim calligrapher born in Europe? Thank you for your time and your valuable clarification.Yes, you are right , the article was written based on early phase of Islam. …Thank you for the link.